With a minimum meat content of 75%, Forthglade Complete with Brown Rice are delicious complete meals packed with proteins, carbs, vitamins and minerals. A carefully balanced wholesome diet ensuring optimum health. nutritionally balanced – chicken is a great source of protein that is easy to digest and highly palatable. Vegetables are a brilliant source of essential vitamins, minerals, fibre and natural antioxidants. If using the product for the first time, gradually introduce to your dog over a period of 5 days. 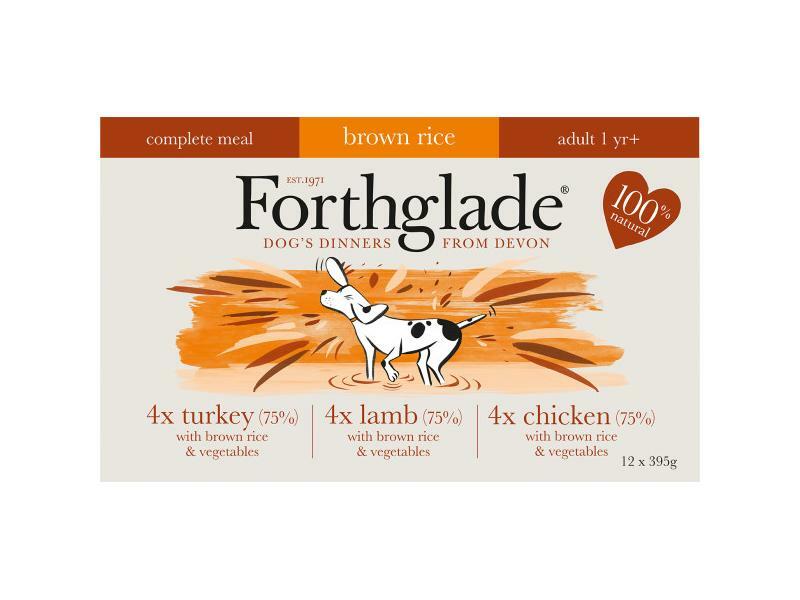 It will take between 3-8 weeks to see the benefits of using Forthglade Complete Meal, with brown rice. 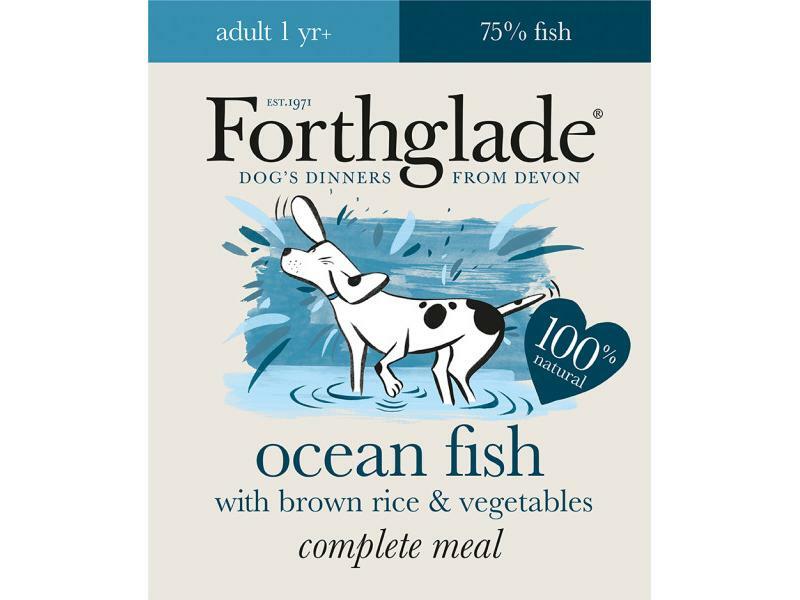 nutritionally balanced – ocean fish is a great source of protein that is easy to digest and highly palatable. High in health promoting Omega 3 oils. Vegetables are a brilliant source of essential vitamins, minerals, fibre and natural antioxidants. Ocean Fish (75%), Brown Rice (4%), Carrots (2%), Peas (2%), Minerals, Linseed Oil (0.5%), Seaweed (0.45%), Prebiotic – Fructooligosaccharide, Yucca, Glucosamine (50mg/kg), Chondroitin (50mg/kg), Camomile, Parsley, Rosemary, Nettle. Crude Protein 10.5%, Crude Fibres 0.5%, Crude Oils & Fats 8%, Crude Ash 3%, Moisture 72%. nutritionally balanced – chicken is a great source of protein that is easy to digest and highly palatable. Tripe is rich in protein and contains high levels of probiotics and good bacteria. Vegetables are a brilliant source of essential vitamins, minerals, fibre and natural antioxidants. 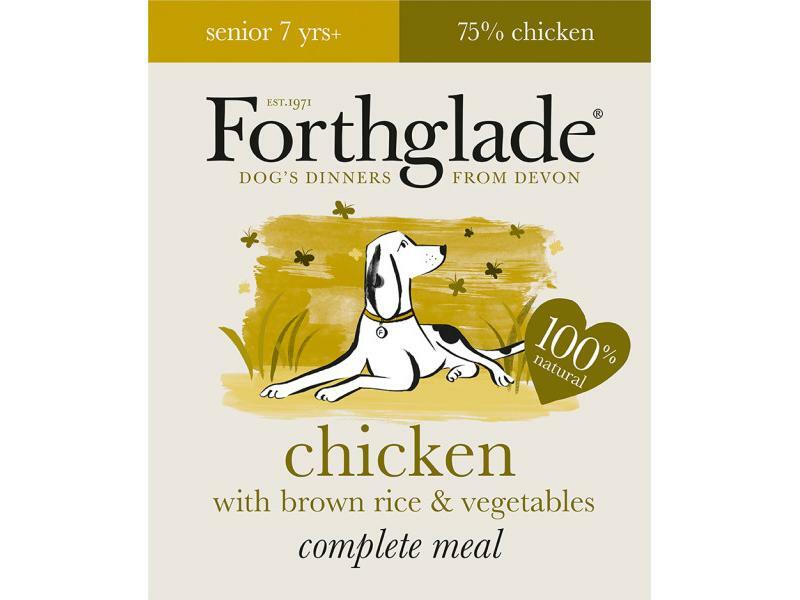 There are currently no questions for Forthglade Complete with Brown Rice - be the first to ask one!